So you want to process credit cards with your smart phone? Great idea. These days it’s convenient, safe and very reliable. In the ever changing and full speed ahead world of technology, cell phone and smart phone credit card processing gives you flexibility that was not available even a couple of years ago. They like it. They approve of it. It’s becoming (or already has become) normal. The public has embraced the security of cell phone processing so your customers are likely to feel just as safe watching you process their credit card on your cell phone as they would be if you were to use a dedicated wireless credit card terminal. You see them in sports arenas, car washes, and restaurants and they are increasing in popularity due to cost and ease of use. 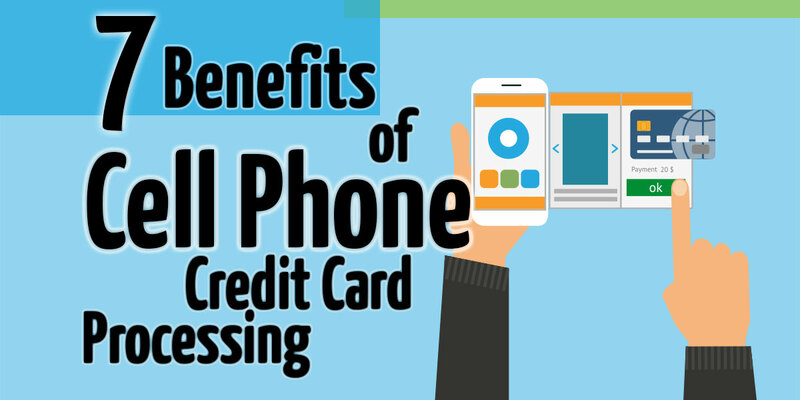 With that let’s get into the top 6 reasons cell phone credit card processing is right for you. I’ll lead off with the no-brainer reason. Since it’s estimated that nearly 7 billion people will have cell phones by the year 2014 I’m going to guess that you already have one, right? You don’t need to buy more equipment! All you need is your cell phone and access to the app store and you simply download a free app and you’re ready to go. You will need a merchant account of course, but I’m also assuming that you have that already. Your merchant account provider should give you the swiping mechanism and the app will also give you the ability to key enter (manually type in) the card number into the telephone keypad. If your merchant account provider gives you the card reader, which simply plugs into the headphone jack of the cell phone, you will then have the ability to accept “swiped” transactions which come at a lower rate than transactions processed by keying in the card number. The difference is roughly 0.50% between the two so for every $100 transaction you will save $.50 by having the swiping mechanism. That is an average of course. Swiped rates could save you even up to a full percentage point when compared to key entered transactions so it’s a huge benefit to have the cell phone swiper. Using your cell phone to process transactions gives you the ability to enter a customer email and/or phone number at the time of the sale in order to have an electronic receipt sent. Since it’s electronically sent, you don’t have a need for receipt paper. Hence, you don’t have to buy that anymore either so you’ll save money there too. Staying on the theme of less is better, you won’t need to worry about a SIM card. I know some smart phones have SIM cards, but you won’t have to purchase or worry about an additional SIM card. This eliminates the possibility of a SIM card going bad which can cause wireless signal to go down and thus impairing the ability to accept transactions on the go. You will instantly know if you have approval when you run the transaction through your cell phone. If you write down card numbers and take them back to the office you are hoping and praying that card is valid. If not, you have a customer to go collect money from and we all know that is no fun. Additionally, writing down card numbers is not PCI compliant so it’s best not to do this. Writing down or storing any cardholder data on non-approved PCI compliant software (or paper notebooks) is a bad idea. The app will automatically notify you of updates that need to take place, so you never need to worry about not being compliant. In my opinion, any option you can take advantage of that removes burden on your part and makes life easier for you is a good thing. As I previously mentioned technology changes quickly. It’s been jokingly said that 1 month after you purchase a new computer or cell phone, it’s already been replaced by a newer, faster model. You can expand as technology grows without having to buy additional software or pay for new updates. If you compare this logic to using a stand alone terminal of the past, software updates were (and still are not) as readily available with some of the other wireless terminals. Since the app that you download to your smart phone is managed by a software team you will always be notified if there is a need to update your app. Again, if you have ever download a recreational or work related app in the past you know that your Android or iPhone device notifies you when you need to update. The same process holds true for cell phone credit card processing apps. Using a cell phone to securely process transactions is a smart way to keep up with the increasing demands of the fast paced marketplace. Mobile phone credit card processing is a very easy and simple way to accept payments at your business and your customers are going to love you for the convenience. If you have questions about specific apps or programs to use, leave a comment below.